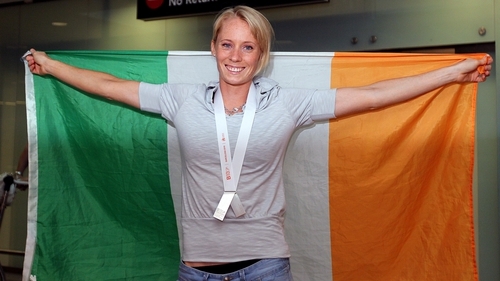 European silver-medallist Derval O'Rourke has arrived home from Barcelona. 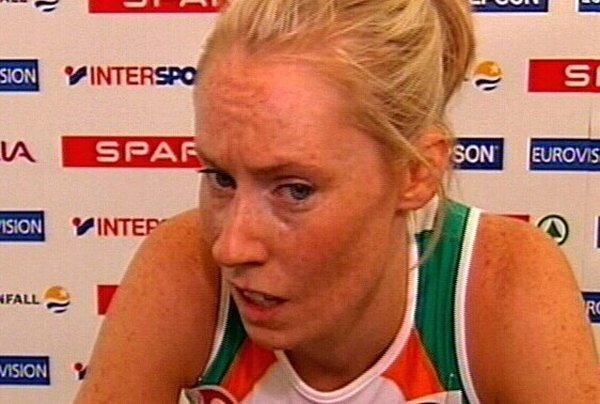 O'Rourke finished second in the 100m hurdles on Saturday night to win her second European Athletics Championship silver medal. She was presented with her medal at the Olympic Stadium in Barcelona yesterday evening. The Cork athlete flew into Dublin Airport this afternoon where she was met by fans, the media and Sports Minister Mary Hanafin. The former world indoor champion also won silver at the 2006 European Athletics Championship in Gothenburg. Speaking after the race she said: 'I think when I look back on my career whenever it ends, the only thing that will count is medals because they go into the history books and can't be taken away. 'I'd love to be champion but I ran a personal best and can't ask for any more. That was absolutely 100% all I had and I'm over the moon.